The home-made eye in the sky, Netra, was the operational brain that guided the Indian Air Force's Mirage 2000-5 IN hours before dawn as they flew towards Balakot, 80 km from the Line of Control, and bombed a camp of the terror group Jaish-e-Mohammed. 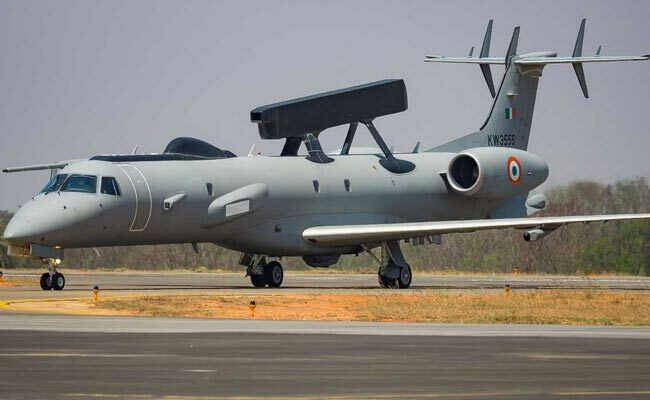 The Netra, an airborne early warning and control (AEW&C) aircraft, was flying well inside Indian airspace while it was providing surveillance and radar coverage for the "non-military pre-emptive action" carried out by the Mirage jets at 3:30 am. The attack comes over 10 days after 40 CRPF soldiers were killed in a suicide car bombing in Jammu and Kashmir's Pulwama. The terror attack was claimed by Jaish-e-Mohammed. The plane can also alert pilots of incoming missiles as it has infrared detection capability that can see the hot exhaust of the missiles. The Netra is a special early airborne warning plane made for the Indian Air Force, fitted with home-made electronics and hardware, which uses the Embraer platform. The Netra has been designed and developed by scientists of the Defence Research and Development Organisation (DRDO). The Bengaluru-based Centre for Airborne Systems, which was headed by former DRDO chief S Christopher, played a critical role in developing this Indian platform. Sources in DRDO said the Netra can track targets 450-500 km deep into enemy territory without crossing the Line of Control. When airborne, it has an almost 120-degree view of enemy territory. The Netra can detect radar signals, and eavesdrop on and listen to all communications that takes place among Pakistan's armed forces. It does not carry any active cameras but all the electronic intelligence it gathers can be beamed back live to commanders on the ground. The national security establishment can also monitor the operations live in New Delhi, using data sent from the Netra. Two Netra planes have been delivered to the Air Force, while a third is still with the DRDO undergoing tests to develop an advanced version. The development of Netra started in 2007 at a cost of Rs 2,460 crore. The final product was delivered in 2017. "Today, the investment in the Netra has fully paid back to the country," said Mr Christopher. The Netra uses sophisticated active radar to do its precision job. The Netra can fly for five hours at a stretch, but with air-to-air refuelling, it can fly for nine hours. The AWACS can accommodate five flight controllers who can directly communicate with ground controllers and airborne pilots as they fly towards the target. New Delhi can listen into what the Netra is watching using a data link. The aircraft can also be patched with satellite-based platforms. Recently, the Indian Air Force got its dedicated satellite called GSAT-7A made by the Indian Space Research Organisation. Using satellite-based communication system, the reach of the Netra becomes very large. The DRDO has tested the Netra by flying it from high-altitude airfields like Srinagar and Leh.